Want a chance to showcase your organization’s products and services? Our tradeshow is the perfect opportunity to do just that! Our Convention Trade show puts your company and its products/services at the forefront with consumers and potential business prospects, while also providing something that is unmatched in today’s digital age: face-to-face interaction. Technology is remarkable and ensures that the daily operations of business are carried out each day, but it can’t replace the human-value of doing business. 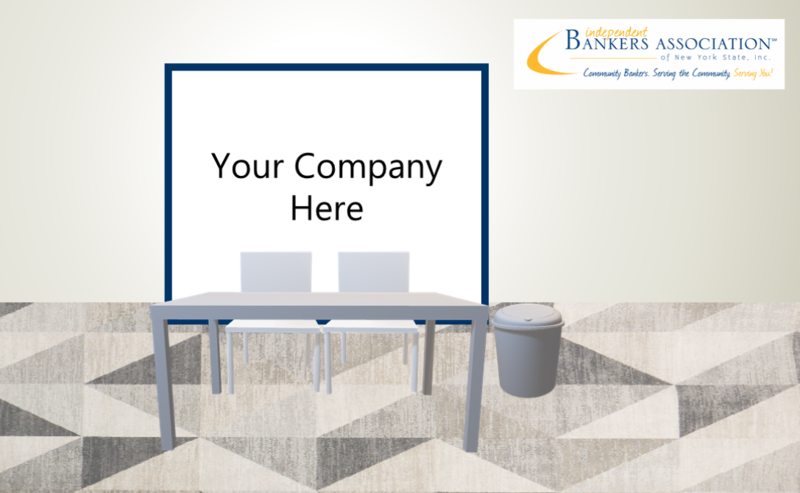 Connect with individuals and organizations that can help your business thrive while coming together for the common goal of promoting community banking. For full details, click one of the options. To register as an exhibitor, please fill out the Exhibitor Registration Form. The exhibitor registration form registers you for all three days of Convention, as well as allows for an additional booth exhibitor to register (additional fees) at a reduced rate. To have more than two people registered for your booth, please fill out the Participant Registration Form. Below shows the booth space that is remaining. On the exhibitor registration form, please mark your top 3 booth choices. Please note that booths will be assigned on a first-come, first-served basis. Important things to keep in mind when filling out these forms is the booth agreement and meal choice. The booth agreement states what is included with your booth, as well as the terms and conditions you accept as part of registering for an exhibitor booth. A meal choice for the Wednesday evening dinner is located on the bottom of the registration form, and provides 4 meal options. Please do not forget to mark your meal choice. If you have dietary restrictions, please contact Linda Gregware at lindag@ibanys.net or at (518) 436-4646 so that we can accommodate you. * Please Note: ONE additional vendor can be registered at a reduced rate of $750. Additional registrant must complete registration form and pay full registration rate. By completing and signing the Exhibitor Registration Form, you are agreeing that you understand that IBANYS assigns booth space on a first-come, first-served basis, and that your booth placement may be changed within reason. You understand that your booth space will not be assigned until IBANYS receives full payment, and that your company will not be listed on any correspondence until said payment is received. You further understand that all booth personnel must also be registered as convention attendees, and must pay admission accordingly. You agree that IBANYS will retain your full payment in the event that your booth representatives are unable to attend, and that IBANYS is not responsible for any loss of money or property from booth abandonment, theft, accident, injury, or any other causes. You have read and are aware hat this provision is an express condition of this registration agreement, and that all agreements herein shall be construed in accordance with the laws of the State of New York. Full refund less $75 on or before May 17, 2019. Full refund less $150 on or before May 24, 2019. No refunds will be given after May 25, 2019.